"Esso France" build in 1955 by At. & Ch. de la Loire, Saint Nazaire. "Esso France", at Kalundborg, Danmark, during the '60 and early '70's. 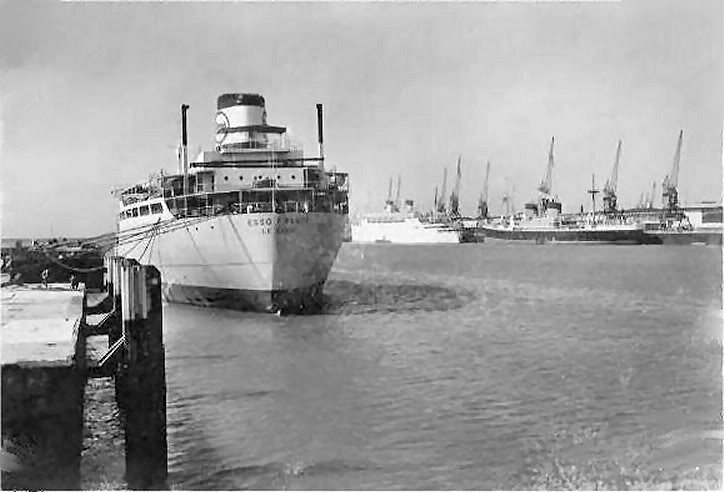 "Esso France", at Le Havre. 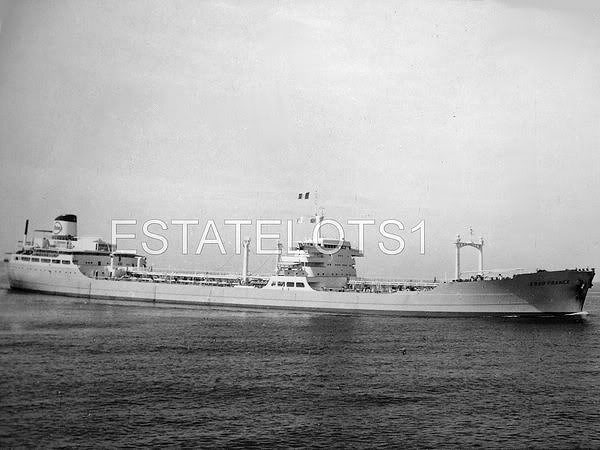 The Miramar Ship Index for "ESSO FRANCE"
ESSO FRANCE (2) (1955-1969) F.O.M.Q. 23802 g. 13968 n. 35707 d.; 211.50 oa-203.00pp x 27.70 x 14.75 meters (10.60 draught). Two CEM-Parsons steam turbines of 17850 SHP by the shipbuilder. 17.5 knots, 9 officers + 35 seamen. 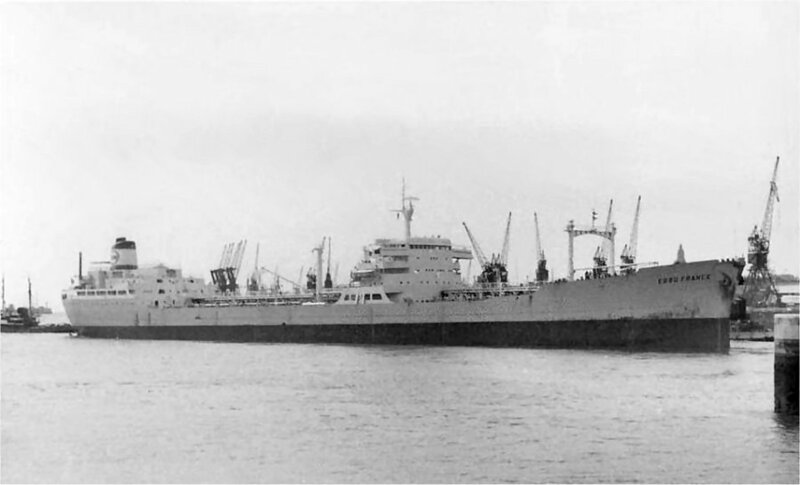 21.06.1955 : launched and 1955 : completed by At. & Ch. de la Loire (365), Saint-Nazaire as ESSO FRANCE for Esso-Standard SAF, Le Havre. 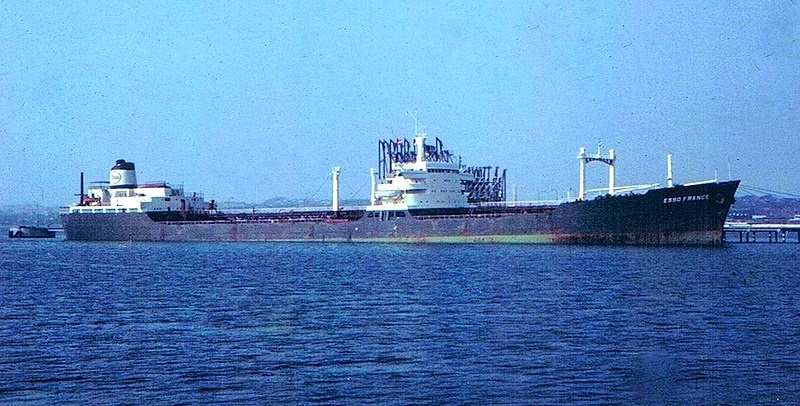 1969:sold to Armadores Maribruna S.A„ Liberia and renamed MARIBRUNA. 1970 : sold to Caprice Nav. 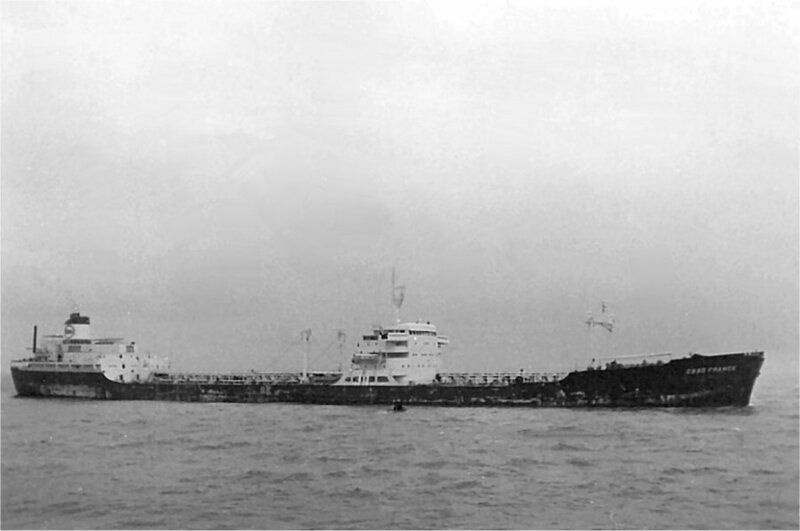 Corp., Liberia and renamed TIGRIS. 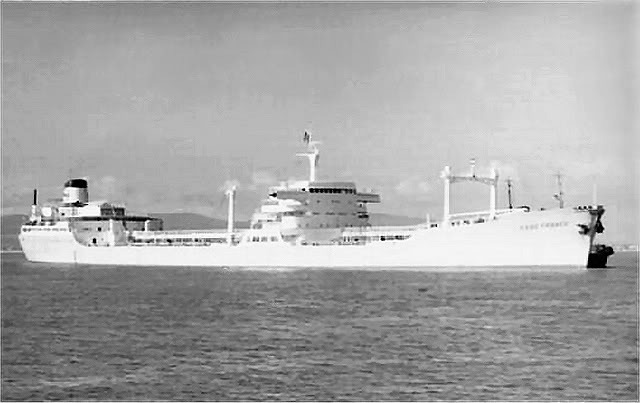 1973 : sold to Pearl Shipping Corp., Liberia and renamed ARISTON. Prior to 09.04.1976 : arrived at Valencia (Spain) for breaking up.